Time was braces meant going to your orthodontist in Liverpool to get big, ugly, glinting metal contraptions cemented onto your teeth for a few years. Not exactly an appealing thought for any adult with wonky teeth. 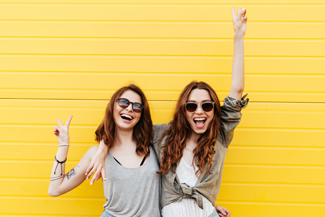 Thankfully times have moved on and now there is a wealth of more comfortable, discreet teeth-straightening options available and you don’t even need to see an orthodontist in Liverpool to get them. You can instead come to Liverpool Smile Studio, where our experienced braces dentist can treat you with one of a number of leading brands of braces. Dentist Jeanine McGinty is our braces dentist and is accredited to treat patients with a comprehensive range of braces, including Six Month Smiles, the Inman Aligner, Fastbraces and Invisalign. Discretion is the main draw for this teeth-straightening system. 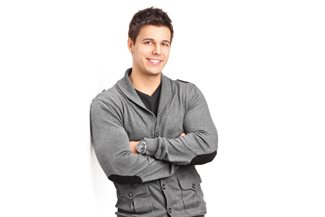 Using a series of clear, plastic aligners, the teeth are gently nudged into straighter positions. The aligners are removable, making mealtimes and toothbrushing no more of a challenge than before treatment. Sticking with removable systems, these braces comprise 2 spring-loaded bows that push the front teeth to straighten them out. Focusing on the front teeth treatment can complete in as little as 6-18 weeks. These fixed braces are an upgrade from the traditional fixed metal braces. Their speed comes from the novel design of their brackets, which are triangular not square. With traditional fixed braces, the crown of the tooth is moved first and then the roots. With Fastbraces, both are moved simultaneously, cutting down treatment times significantly. Typical treatment lasts anywhere from 3 months to a year. Another fixed braces system but this time using smaller, clear brackets and tooth-coloured wires, so the braces blend into the teeth, rather than dominate them. Gentler forces can be used as these braces focus on the front teeth that have only one tooth root each. This also means that treatment is shorter, taking on average just 6 months. If you think you need an orthodontist in Liverpool, take a moment to consider Liverpool Smile Studio instead. With so many options for braces to explore, we’re certain we can find the right fit for your dental needs, lifestyle and budget. This entry was posted in Orthodontics on 30th November, 2018 by Liverpool Smile Studio. A beautiful smile is a priority for many people because of peer pressure. With so many adults reaching out to cosmetics dentists and orthodontists in recent years, cosmetic orthodontics have become very popular. At Liverpool Smile Studio, we know the struggle of crooked teeth and we want to help our patients achieve their best smile possible. Although we do not have a dedicated orthodontist in Liverpool, our experienced cosmetic dentists offer a number of customised cosmetic orthodontic solutions, including Invisalign, Six Month Smiles, Fastbraces and The Inman Aligner. Do I need an orthodontist in Liverpool to achieve straighter teeth? The answer is no. If you have moderately misaligned teeth and bite problems, you can have cosmetic orthodontics provided by a cosmetic dentist in our practice instead of metal braces provided by an orthodontist and still be able to achieve a beautiful smile. Cosmetic orthodontics do not require the same amount of time, effort and adjustment that metal braces do and for this reason, they are a better option for many adult patients. Am I too old for teeth straightening? 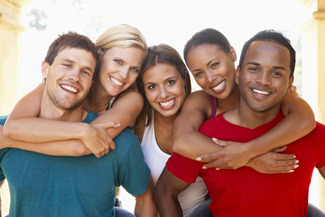 Contrary to popular belief, braces are not just for children and teenagers. There is no age limit for adults with healthy teeth and gums to straighten their teeth and undergo orthodontic treatment. Whatever their incentive, straight teeth have many benefits. Plus you can have the beautiful smile you have always envisaged without putting your life on hold anymore. Truth is that traditional metal braces can take from several months to 2 years to work. However, adult orthodontics such as Fastbraces, Six Month Smiles and The Inman Aligner offered by our cosmetic orthodontist in Liverpool deliver results much quicker. But wait – isn’t orthodontic treatment painful? Discreet orthodontics are by no means painful. Even if they feel uncomfortable in the beginning, once you get used to them, you will probably forget that you are wearing them. In general, the discomfort caused by these braces doesn’t go past the point where pain relief should be sought. If you are considering straightening your teeth, we recommend that you book an appointment with our helpful team in the first instance. This entry was posted in Orthodontics on 16th November, 2018 by Liverpool Smile Studio. If you are needing to straighten your smile, all you have to do is book an appointment with the orthodontist in Liverpool. 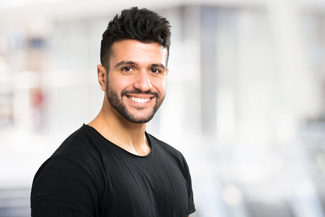 Here at Liverpool Smile studio, we have multiple solutions to straighten your misaligned teeth, and get you smiling with confidence. You may know full well that you need to go to an orthodontist in Liverpool, but what exactly is the difference between going to the orthodontist and going to the dentist? 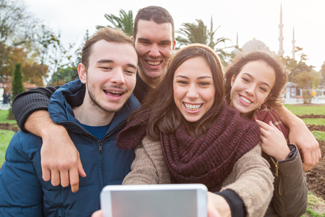 While they both improve people’s oral health, dentists deal with the teeth and gums, and the orthodontics deal more specifically with correcting bites and straightening the teeth. They deal with diagnosing and preventing dental irregularities in both children and adults, helping to find the solution most suited to them. How can the orthodontist in Liverpool help me? 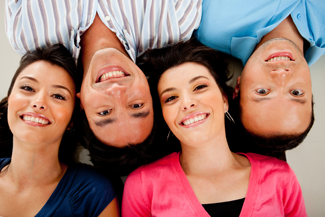 The orthodontist can help anyone who has misaligned, gappy, and otherwise problematic teeth. The first step, is going for an initial consultation. You will be given a full assessment, and talked through the possible options and procedures. The length of treatment will depend very much on your individual case, however it is likely that most treatments will require the patient to wear a retainer post treatment. Fixed braces are the traditional treatment used for many years. They consist of brackets that are glued onto the teeth, and have wires attached to gently move the teeth into their correct position. They are a well tried and tested treatment, however, overtime technology has developed, allowing people to have braces without having to feel self-conscious of having an unsightly ‘metal mouth’. People can get tooth colored braces for a subtler treatment. These consist of a plastic material that is clipped over the teeth. They are removable. However, it is advised patients limit the amount of time they remove them to cleaning and specific activities if necessary. An alternative solution to straightening the teeth at the orthodontist in Liverpool, is clear aligners. These use clear trays, as opposed to wires and brackets, to gently nudge the teeth into shape. They are custom made to fit snugly around the teeth, and work faster than braces. People can see results in as fast as 6 months. This entry was posted in Orthodontics on 19th October, 2018 by Liverpool Smile Studio.